Today(19th Feb) is a great day in the history of mankind. 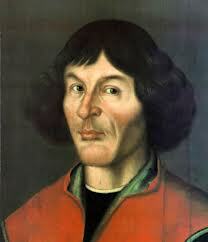 This is the day when Nicholaus Copernicus, a great astronomer and Renaissance Mathematician was born. probably there would be no one who hasn't heard about this great man. He was one of the path shifters of our science and its understanding. He was the one of the early astronomers who believed and proposed the HELIO-CENTRIC THEORY which states that Sun is at the center, which was contrary to the belief everyone had till then. Many have threatened him and abused him. But he didn't even try to stop thinking about this great theory. Finally after many years of research we now believe his theory. A very very Happy birthday to this great and wonderful man. Napolean was not shortt !!! !